Architecture Smith + Scully is an award-winning, New Zealand Institute of Architects registered practice. We create contemporary architecture that enhances and enlivens our clients’ daily lives with engaging designs that contribute value at many levels. We are committed to producing inspiring buildings and environments that are a thoughtful response to our clients’ aspirations, to the context, site conditions, and budget. Established in 1996, our body of work is expansive, ranging from private houses in urban, rural and coastal environments, to multi-unit developments, housing for elderly, hospitality, retail and commercial fit-out projects. Our work has been featured in Houses NZ Magazine, Architecture New Zealand Magazine, Architecture Now, Trends Design NZ, Home & Garden, ProDesign, Kitchen and Bathroom Quarterly, Your Home and Garden Magazine, Habitats Magazine and Scope Magazine showcased on TVNZ’s Home Front program. We have been credited with numerous awards including: NZIA Awards (Winner) for New Houses, Home Ideas New Kitchen Design, numerous Dulux Colour Awards (interior and exterior finalists), Best Award for Commercial Design (finalist), and Retail Design Award – Commercial Fit-out (Winner). We aim to provide high quality, appropriate and thoughtful design with much attention given to personal service. We consider each client, brief and site as a unique opportunity, and believe successful design will enhance people’s daily lives through the quality of their environment. We take great care with our client relationships, ensuring easy and clear communication throughout the process. We can provide the full range of architectural services, from site analysis and conceptual scheme design, through to documentation for the various types of council approvals required, consultant selection and coordination, contractor selection and tendering of contracts, and contract administration. Our projects often extend to the design and coordination of the fit-out and interiors, the kitchens and bathrooms, lighting design and hard landscaping. We have good working relationships with many reputable builders and contractors and can advise on suitable contractors for each project. Our clients are very important to us and many return, and refer us to their colleagues and friends. We strive to not only meet our clients’ needs but to exceed their expectations. Our clients enjoy being involved in the process throughout their project and we work to ensure that clear communication and a good working relationship is facilitated at every stage. Over the years, we have developed working relationships with a solid group of very capable contractors that we work with regularly, often in conversation during the documentation process, and this can save our clients time and money on their projects. Project size expectation and selection of materials, fixtures and fittings directly influence the project budget and we advise and work with our clients to realistically define these choices and decisions. Where budget constraints are of concern, we do recommend an estimate of costs from a Quantity Surveyor at preliminary design stage, so adjustments, if needed, can be made to the design and/or brief. Based on the NZIA Guide to Services and Charges, our fees for each project are calculated individually and reviewed at each stage of the project. Generally, for preliminary concept and sketch design work, we charge on an hourly basis. Once the design has been approved by our client, and the requirements for the documentation and consultant liaison are clear, we can usually provide a fixed price for the various documentation packages as required. If further services are required; e.g. for Tender Negotiations and Contract Administration work, Interior Design & Scheduling, Hard Landscaping Design; this work is usually charged on an hourly basis. 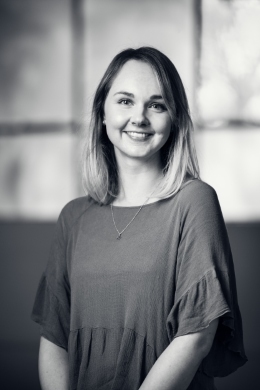 Lisa graduated in 2016 with a master’s degree in architecture from Victoria University of Wellington. Lisa brings to our team a keen intellect and excellent organisational and written communication skills. She is proficient in several software packages including ArchiCAD, SketchUp, Photoshop, Illustrator and Revit, and shares a common passion in our office for hand-drawing at the design stages of a project. Lisa’s thesis investigated how architecture might help to address the prevalence of loneliness in community-dwelling older adults. Her proposal reconfigured an inner suburban neighbourhood to provide increased opportunities for spontaneous interaction for socially isolated residents. During her years of university study, Lisa worked as a teaching assistant, summer scholarship researcher, and in various administration and project coordination roles. Lisa has an exceptional ability to listen, assess and ascertain the essence of what is required often from complex and contradictory beginnings, bringing much valued clarity and efficiency to all project processes for clients, consultants and council alike. 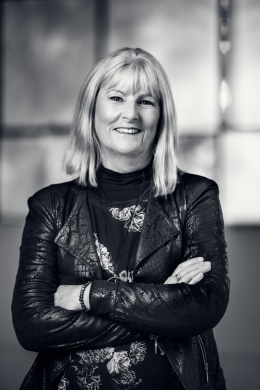 Carolyn Smith graduated from Auckland University, School of Architecture in 1987. Before establishing this practice with Hilary in 1996, she worked both in New Zealand and in the UK for several years, working on a variety of projects in the hospitality, retail and residential sectors. Carolyn is a graduate of the 2005 NZ Architecture Masterclass run by the Architecture Foundation of Australia. 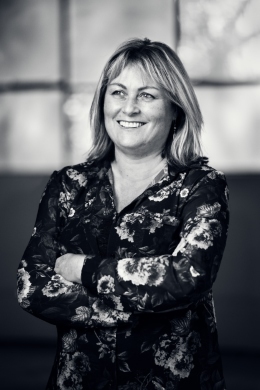 Carolyn was a member of the jury for the New Zealand Institute of Architects 2003 Local Awards and convenor for the Levenes National Student Architecture Awards in 1996. Carolyn is a regular guest critic architect for senior student design programs at the Auckland Unitec Architecture School. She and Hilary were finalists for the 2014 Architecture + Women NZ Munro Diversity Award. Carolyn has designed and built two new homes for her own family over the past ten years in Point Chevalier in Auckland. Both houses have been well-received, being published in Houses NZ magazine, Architecture Now, Architecture NZ magazine, Your Home & Garden magazine, featured on TVNZ’s Home-Front program, short-listed for Home of the Year Award and selected for Resene’s Habitat of the week web-site. Carolyn has many interests including a deep love of music and painting. She studied towards a Bachelor of Music, majoring in composition, currently sings in an Acapella choir, and is interested in the spatial language of both music and architecture. Practicing yoga, pursuing the outdoors, and a love of camping and sailing all fuel and inform her interest in passive solar design and energy efficiency. Hilary Scully graduated from Auckland University, School of Architecture in 1987. 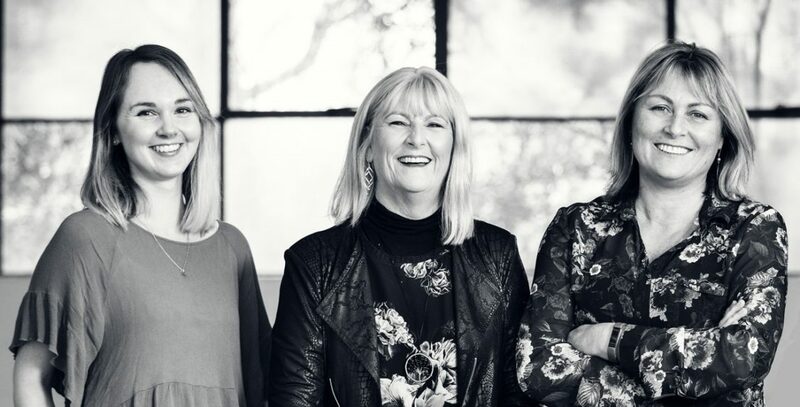 Before launching a practice with Carolyn in 1996, she worked in both New Zealand, and in the UK for four years, specialising in residential and aged care projects. Hilary has undertaken post graduate study at the University of North London obtaining the Royal Institue of British Architects qualification; RIBA. She is a graduate of the 2005 NZ Architecture Masterclass run by the Architecture Foundation of Australia. She and Carolyn were finalists for the 2014 Architecture + Women NZ Munro Diversity Award. Hilary has completed several renovations and a new home for her own family in Kingsland and Sandringham, combining her skills with her husband’s – a respected Auckland builder – to create environments suitable for them and that of their three children. Her home in Kingsland won an NZIA Residential New Home Award, a New Kitchen Award, was short-listed for Home of the Year, finalist in the Resene Interior and Exterior colour awards and was featured in Architecture NZ and Your Home & Garden magazines. Hilary has a keen eye for detail and is a skillful space planner. These skills are particularly valuable to clients in their residential projects but additionally have cleverly transformed commercial spaces creating drama and intrigue resulting in both retail and interior design awards. She has a special interest in providing quality environments for our elderly and has experience working with LifeMark design standards. A self-confessed “foodie”, Hilary enjoys keeping up with the latest eating establishments, which informs the many parts of the design of our residential and hospitality work.